Welcome Coachella Valley Snowbirds Fans! 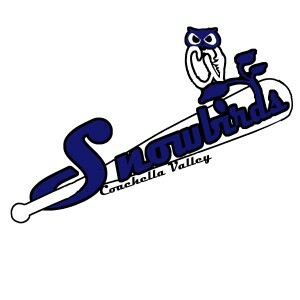 If you call the beautiful Coachella Valley your winter home, but when things get a bit warmer you pack up for a milder climate, the Snowbirds are the club for you. Like many of you, players on the Coachella Valley roster are often on the move and have called many places home as they wing their way towards their baseball goals. Since birds of a feather do flock together, the place for you and those players to flock for baseball in the winter, is right here in the California Winter League.